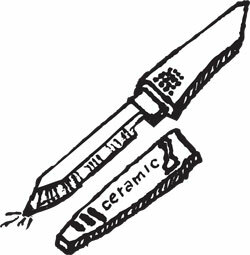 The smart cutters and choppers these days are using ceramic knives because they stay so sharp for so long, and who remembers to have their knives sharpened? 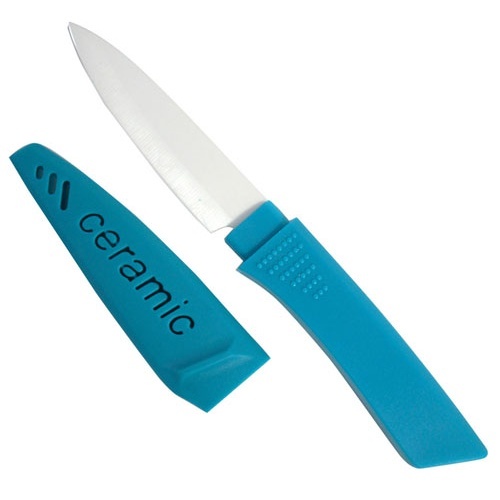 Ours measure 7" long over all, with a red, green, or deep aqua handle, a 3" blade and a sheath. Don't go into the kitchen without one. Slice, dice, chop and mince, and forget about sharpening. Like you always do. 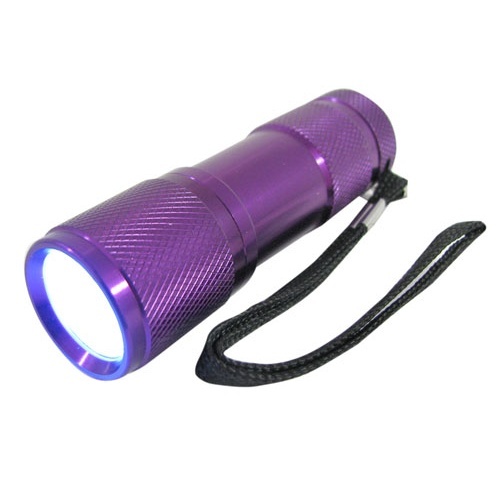 This pocket-sized mini-flashlight has (9) 405nm ultraviolet LEDs and myriad uses, from checking U.S. currency to working the door at your ultra-hip downtown clubs, spotting radiator and transmission fluid leaks, mineral identification, and (yes, it's true) locating lost scorpions in the dark. 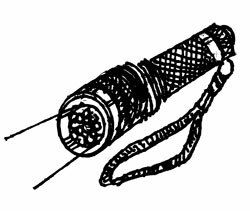 Measures approx 3-3/4" long x 1-1/8" dia with knurled sections so you won't lose your grip, and a wrist strap in case you do. You supply (3) "AAA" batteries and the scorpions. 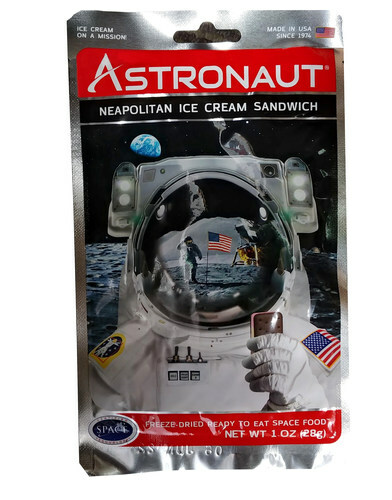 Freeze-dried Neapolitan ice cream sandwich, it says on the foil package, just like the astronauts got if they ate all of their freeze-dried peas. 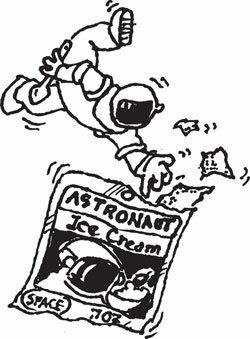 Not frozen, of course, or even chilled, but you get one yummy pack, ready to eat, just under half an ounce, which is more than you'd think. 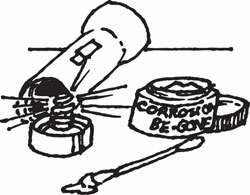 Call it a gonzo version of our best work-light, this 4-5/8" x 2-1/4" x 1" cigarette-pack-size light has (60) white LEDs in a 3" x 1-1/2" window with a bright mode and a way brighter mode that would blind a turkey vulture, plus (4) more for a standard flashlight mode. Includes a flip-out easel, hook and a disc magnet. 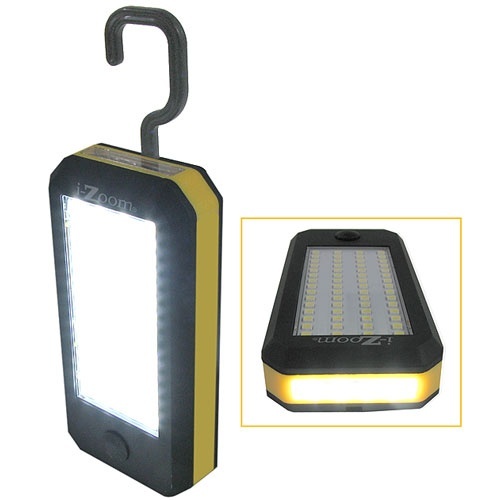 Comes with (3) "AAA"s. Manufacturer rates this bad boy at 900 lumens. Twelve-year old Tommy is a whiz with kits and models—but who knows which one he wants? Tommy’s teacher creates great art and craft projects—but who knows what off-the-wall materials will inspire her? And Grandpa Sam! Who knows what motors or bearings or resistors or piezo speakers he wants? Or what in tarnation he wants them for? Doesn’t matter! Give them all gift certificates! Just select whatever combination adds up to the amount of the gift you want to give, for mail orders include the name of the recipient (write extra legibly, please). 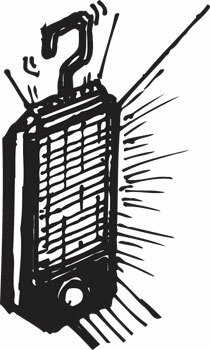 We’ll send you or him or her one of these handy gifts, complete with our signature sketch of Jarvis. (No charges for shipping and handling on a gift certificate, but those will be charged on the order against which the certificate is redeemed.) To redeem your gift certificate online, please email us your order number and the gift certificate number, and we will apply it to your order. Thanks! PLEASE NOTE: Orders containing just gift certificates and no other items will ship out via First Class mail. Contact us for other shipping options on gift certificates. Thanks! Works on all of them except the ones stuck to your eyeballs. 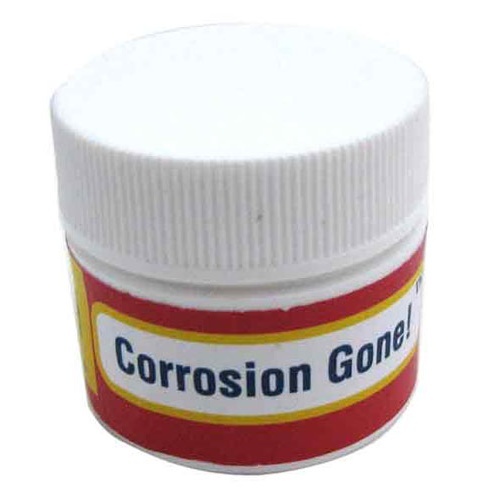 Corrosion-Be-Gone is a gel made to remove the schmutz from all types of battery terminals, circuit boards and contacts, on everything from cars to computer boards. Our each is a 0.3 oz jar. 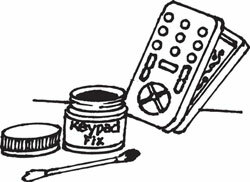 Don't toss it and buy a universal remote. 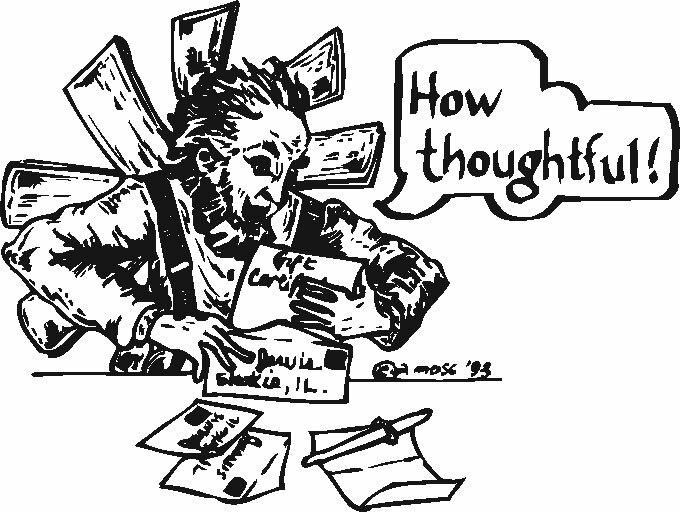 (How many things are really universal, after all?) 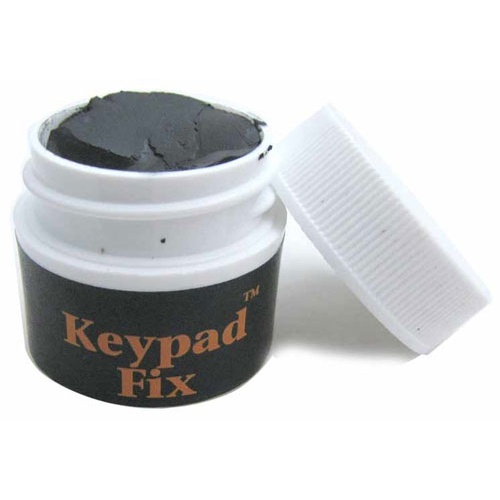 Try this jar of Keypad Fix, designed to clean and restore conductivity to the carbon on the keys and the copper PC board pads that make up the rubber-coated switches on remotes, game controllers, and security keypads. Contains enough to coat over 200 button contacts. 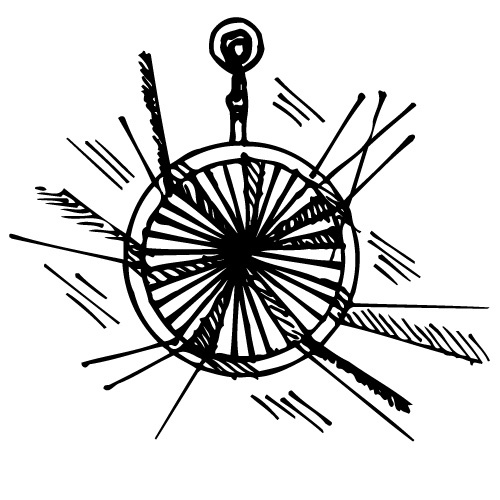 Spin this spindle and watch it turn in perpetuity!! Well, for a long time anyway. 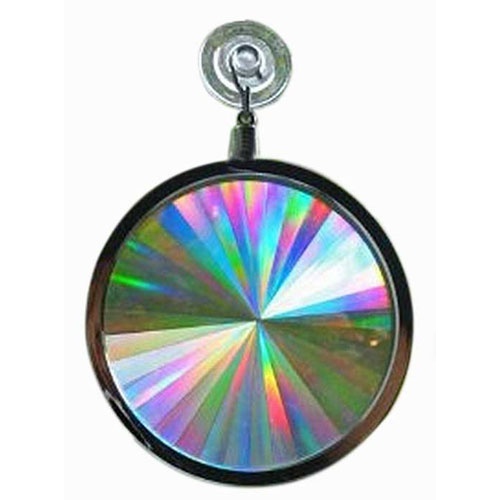 Inside the 5-1/2" long colored plastic spindle are magnets which are repelled by magnets in the 5" x 3" black plastic base. 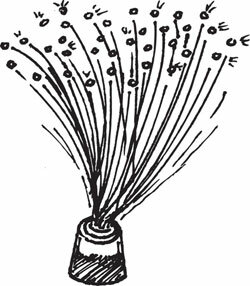 The variously colored spindle floats in the air above the base thus virtually free of normal friction. 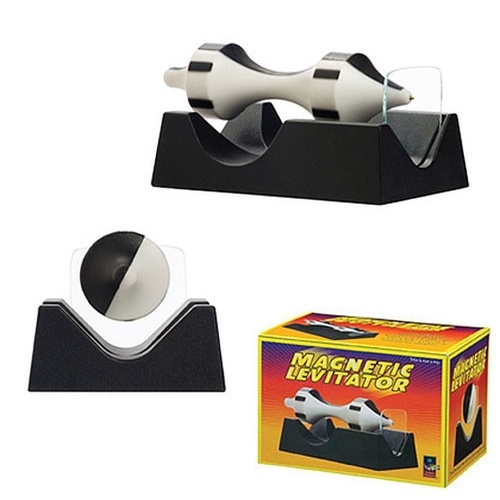 Nifty desk toy named "Revolution". 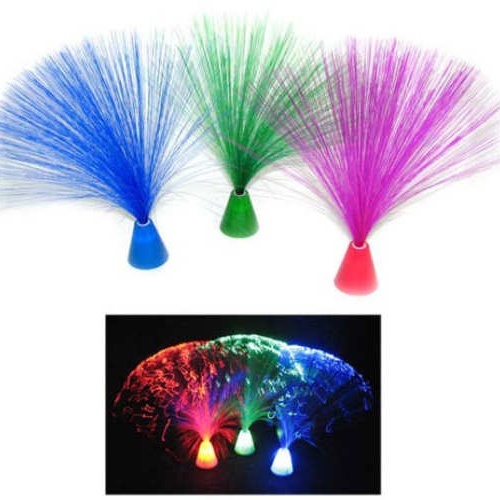 Please note #91664 with flashing red lights was incorrectly advertised, that item is not available. 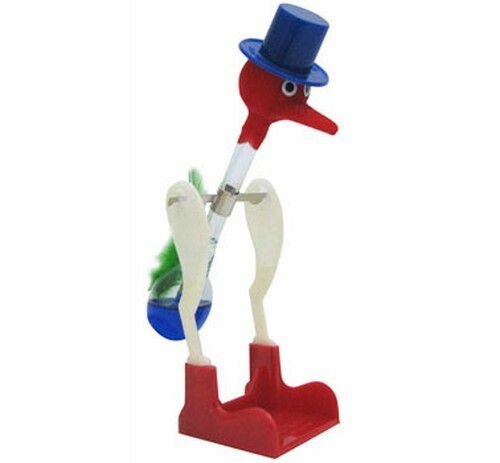 You're buying the drinks and this wacky, yet debonair, bird with a top hat and plastic base (7" tall OA) can't get his fill of water. Get him started, and he dips his beak into your glass repeatedly. How? Fluid inside his glass body condenses from the evaporative cooling of the water off the bird's beak, making it top heavy and dunking it back into the water. 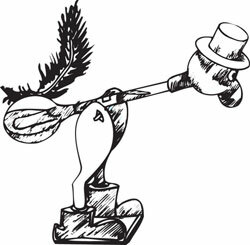 The condensate rejoins the liquid pool in the bird's bulb, and he tips up again. Process continues indefinitely. It works, but it's not any more than moderately well made, and not any more than moderately priced. WARNING! The fluid and dye inside the bird can permanently stain, and the bird's glass body can easily be broken. Children are fascinated by the bobbing bird, and the educational possibilities are great. But they should watch him, not fondle him!! Manufacturer warning states this item is not intended for children 8 and under. Bring back the '70s for nine bucks. 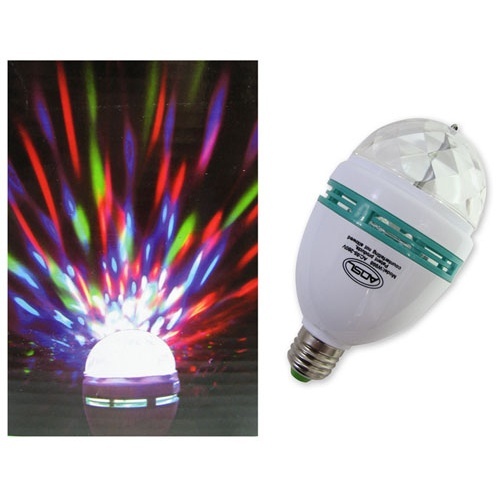 Screw this red-green-blue LED prismatic, rotating bulb into any standard medium-base light socket and your room turns into disco heaven. 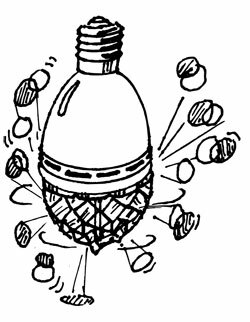 Bulb will stand about 5" above or below the socket. Draws approx 6W. CJ recommends any Donna Summer album for use with it. Please note that the remote depicted on the packaging is not included. 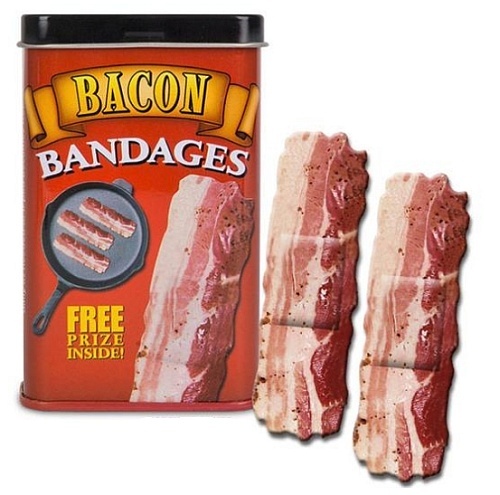 We feel sorry for those flesh-colored bandages that are just trying to hide. Stand up and be healed with bandages that make a statement! 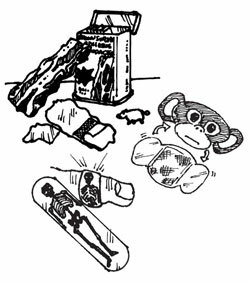 Say Oink with this box of (15) sterile photo reproductions of a raw bacon slice, plus a bonus plastic pig in every box. Mustache bandages work even if you cut something other than your lip; just tell people it's a mustache transplant. You get (15) in (4) hairy styles, plus a secret gift. Hey, steampunk! We got your bag-o-gears right here, mostly the sort of thing that went into clocks and watches before quartz crystals and cell phones, when stuff was much cooler. But wait. 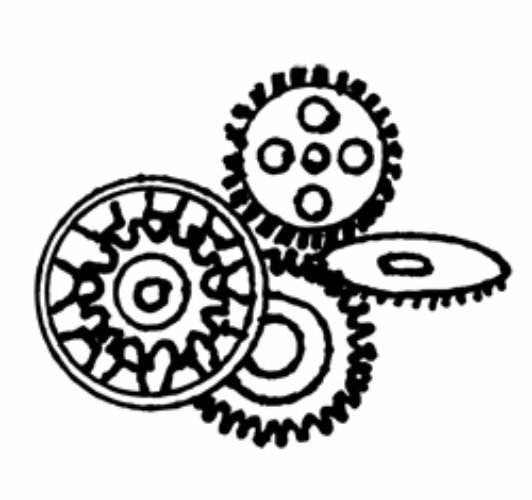 Don't plan on building an actual machine with these gears--they're strictly decorative. No one will know that, though, when these industrial beauties are hanging from a chain around your neck. 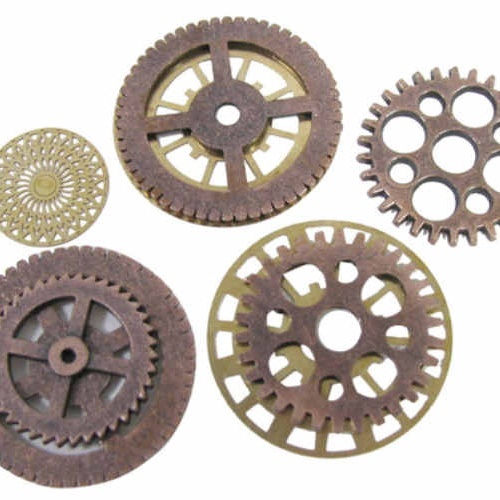 You get about (20) gears and flywheels in sizes ranging from 1/4" to maybe 1-1/4" in brass, bronze and gold tones. Bigger than a baseball across the top, this is one ginormous jewel. 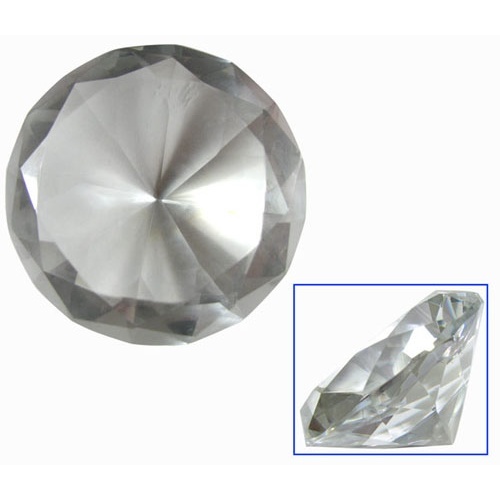 You pick a clear or deep-translucent-blue, 24% lead crystal, cut-glass gem. It’s 3-1/8” dia at the top, tapering to point 2-1/8” deep. Could be mounted in a stunning, but really, really, really big engagement ring. 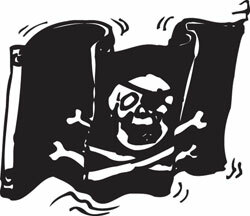 Why does Roger always get the credit for the skull and crossbones pirate flag? We feel it is time to share and have elected Barry to the post because he just walked by the vast editorial department here at A.S.&S. 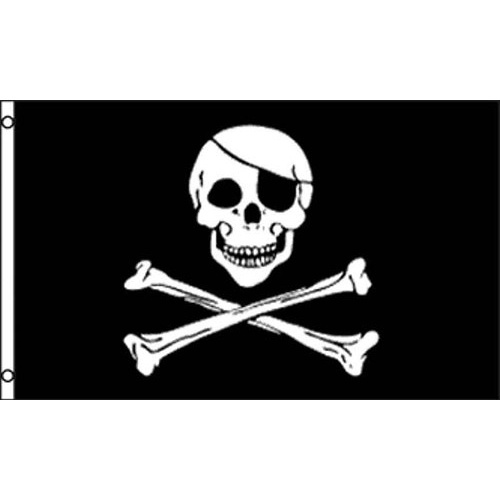 (AKA "my desk") Our Jolly Barry flag is 3ft x 5 ft., black polyester with a reinforced edge containing grommets for flying. It has the traditional skull and crossbones in white with the added fillip that the skull is wearing an eye patch! Sail Away! !